Jed Porta's grandfather bought Migis Lodge in Casco in 1968. Fifty years later he's now the general manager. CASCO, Maine (NEWS CENTER Maine) -- Migis Lodge is a Maine getaway that's been opening their doors to guests for 102 years. It's hard to complain about the 125 acres of forest and 3,500 feet of Sebago Lake waterfront that Migis Lodge offers. A stay includes all daily activities in the great outdoors and three meals a day. Lunch is always served outside. It's where you'll find General Manager Jed Porta behind the grill flipping patties and taking orders. "I started working when I was 12, or so raking the beaches, sweeping the tennis courts, bailing the boats and so forth and I've been here pretty much every summer since then," said Porta. Migis Lodge has been in the Porta family for three generations. Jed's grandfather ran the lodge in 1946 and then his dad Tim took it over until a few years ago when Jed assumed the responsibilities. Its history goes back even further than the Porta family. "It opened in the summer of 1916," said Tim. "A guy by the name of Goodrich who owned the steam boats that used to ply these waters built the main lodge, smaller than it is now and 7 of the cottages." 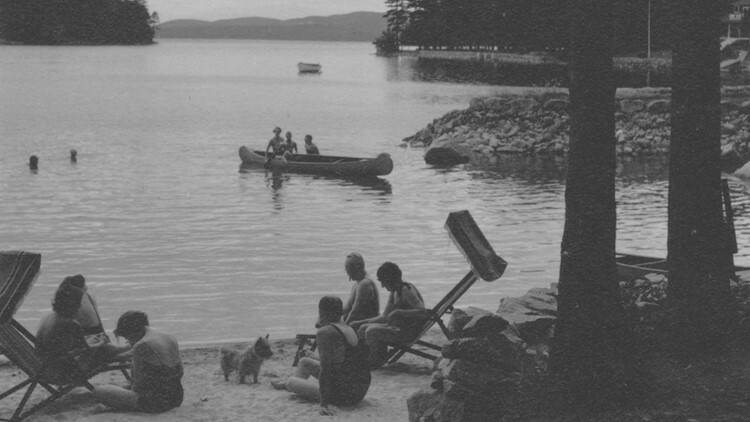 The old photos show decades of rustic summers with throw back bathing suits and a simpler lodge. Rates then were much lower. $2 a night per person compared to the $400 a night they spend today, but the experience is very much the same. The shuffle board courts are still next to the lunch area. 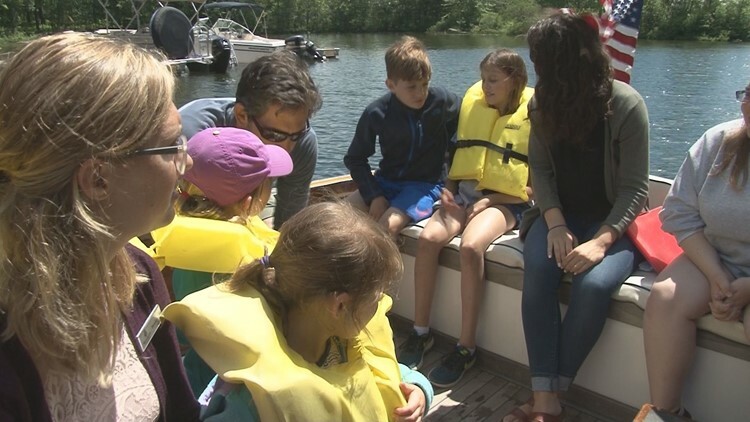 Sebago Lake still offers a level of adventure, while at the same time creating an environment of peace. It's why the Roses have been coming back every summer for 38 years. "Maintain the beauty and the quietness of it and so it's a really wonderful place," said Daniel Roses. Migis often books up during July and August, but if someone is interested in staying in one of their 35 cottages this season, they still have some vacancies available. Click here for more information.